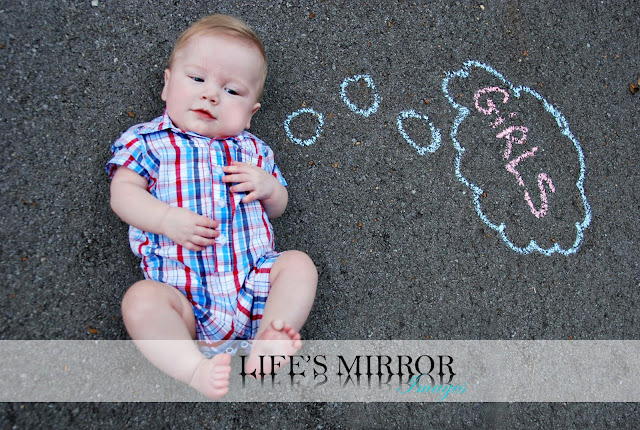 This week at I ♥ Faces is a Chalk Photo Challenge. As soon as I knew it was chalk, I instantly knew which picture to enter. This one was fun to take and just an idea I had suddenly and just happened to have chalk in my car! Enjoy! Head on over to I ♥ Faces and check out the other entries or enter one yourself! Ha! Kids these days are starting so young....super cute! So creative! I love his outfit! Ha, ha...both fun and creative. Love the simplicity of the shot. So cute! He is a handsome little man ... I love how his legs are curled up. great idea and I love the name you picked for your business.